Simon Callington is a decent man, the dutiful Englishman. He’s a devoted husband and father of three, bright but not brilliant, content with modest pleasures, too self-effacing to say no when maybe he should, too slow to realize that others don’t play fair. In other words, Simon is a perfect fall guy. And since this is 1960, when Soviet spies are turning up inside the British government–in fact, his immediate superiors in the Naval Department have been “batting for the other side” for years–a fall guy can be useful. Harold Adrian Russell “Kim” Philby worked for British Intelligence but was actually a Soviet agent. 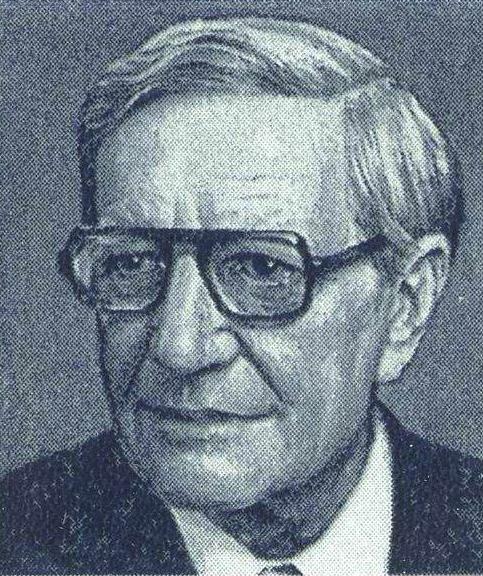 One of the so-called Cambridge Five, men who attended that institution and spied for the USSR, Philby defected in 1963. This image comes from a 1990 Soviet postage stamp (Courtesy Wikimedia Commons). The story all starts innocently enough. Giles Holloway, an old friend, mentor, and immediate superior, calls Simon at an inconvenient hour to have him rescue a file from a place it should never have gone. Simon agrees, only because he can’t say no to Giles, part of which goes back to their days at Cambridge, when they were lovers. But Simon will have ample time to wish he had said no, because one look at the file tells him that neither man should have seen it, and Giles’s briefcase, which Simon comes across, contains more of the same. Rather than return the file to the office, as Giles wants, Simon brings it home. From there, his life unravels. With Exposure, Dunmore proves again why she’s among my favorite writers. She’s written a thriller as gripping as any, using Simon’s very ordinariness and decency to devastating effect. There’s no cloak-and-dagger here, no secret that will explode the universe if it falls into the wrong hands, no mole who must be uncovered before he or she compromises national security. Rather, it’s how those who act to protect national security are destroying the decency and moral compass that Simon represents, and they do so without a second thought, certain of their righteousness. So yes, the world is at stake after all, for what happens when decency and moral compass mean nothing? Consequently, Exposure has to do with how the government Simon serves repays his loyalty, and how they hurt him, his wife, and children. Once suspicion falls on him, he has no friends, and the people he might have counted on for support, like Giles, will gladly sacrifice him to their own interests. Simon’s only ally is his wife, Lily, a woman of great resourcefulness. However, Simon refuses to tell her anything that might compromise her, and Lily, who can be difficult to reach, has a secret of her own that she won’t share. Dunmore excels here, deriving so much tension from unwillingness or inability to communicate that at times you want to howl. But there are good reasons for it, which, typical of her fiction, come from within the characters. Lily, a German Jew by birth, grew up living “in fear before she knew why she was afraid . . . knowing that people hated her,” and though she escaped her native country, she can’t escape herself. Once Simon is arrested, Lily rebuffs her friends, believing that she mustn’t taint them, and concentrates on protecting her children as best she can. We aren’t meant to see ourselves as others see us. In fact it would be a bloody dull world if we did, because no one would ever make a fool of himself again. We might as well accept that we’re put on this earth to make unwitting entertainment for other fellow men, and get on with doing so. All that sounds very nice, blasé wisdom for the Cambridge common room. But without ever saying so, Dunmore shows what happens when Simon, dull as he may be in comparison with Giles, actually tries to connect with life instead of looking at it as a game. His plight may furnish entertainment for the men who want to sink him, but everyone else is in great pain. The only false note in this portrayal concerns Simon’s sexuality. If he was homosexual at Cambridge and found it exciting, why has he given it up? He may think of it as a youthful road he no longer prefers to travel, and his marriage is plainly substantial. Yet Giles still exerts a pull over him. Also, Giles’s boss, Julian, though a master of the nasty innuendo and capable of intimidating just about anybody, seems two-dimensional. Almost every time he appears, the adjective cold sticks to him like Arctic ice on bare skin, but that doesn’t satisfy me. The first book I reviewed for this blog was The Lie, a lyrical, heart-rending tale of rootlessness that’s still my favorite of all those I’ve written about here. Though Exposure deals with a different subject, it’s a worthy companion, and I highly recommend it. This past Tuesday night, my wife and I dined at a small Parisian restaurant we’d stumbled on almost thirty years ago, and which, I’m happy to say, is just as good as it was then. Since we were feeling romantic and happy with the world, I told the maître d’ how his establishment had figured in our lives. Our first visit happened the same week I asked my wife to marry me; our second, some years later, occurred when she was pregnant with our elder son. The maître d’ thanked us profusely. “What you’re telling me gives me goose bumps,” he said. He added that what mattered most to his colleagues and him was the passion to prepare and serve food the way it should be done. I said that what was on the plate proved the point; he beamed and said he was touched. Two days later, back in Seattle, we read about the massacre at Nice. I can’t tell you how revolted, heartsick, and incredulous I feel, how outraged. Among other things, to me, France represents the love for and appreciation of the beauty that makes life more fulfilling. It’s as the maître d’ said, the understanding that even a snippet of the everyday should be created just so, as if there were no excuse for ugliness. Not that there’s no ugliness in France; of course there is, and plenty of it, not least the bigotry and xenophobia that poison public discourse. But you’ll also see there the passion this man was referring to: a moment, an interaction, a way of being that says, This is what life’s about. During our trip, we encountered many examples of this. A Tunisian market-stall merchant in Dijon urged us to sample his olive oil, easily the best I’ve ever tasted, and when I said so, he wound up telling us about his life and why he’d emigrated to France. An elderly couple who run a bed-and-breakfast in Bourges embraced us when our three-day stay ended and said they’d miss us. Why? I think it’s because we expressed admiration for their city and the care with which they renovated the ancient building that’s their home. The Paris métro, like any other hole in the ground through which trains run incessantly, is noisy, grimy, and sooty, and the ads are loud and garish, like ads everywhere. But take a closer look at them, and you’ll see that their borders are ornate ceramic tile. Who thought to bother, and why? Who decided, way back when, to name the stations after historical figures or events and decorate them accordingly? Then again, back further when, who thought that a cathedral spire needed meticulously carved ornaments so high above the ground? The terrorists’ response? Blow it up. Run it over. Shoot it. Hate it. Like any sociopath who fears himself impure and worthless, they see only filth, depravity, sin, which must be wiped out. A café, for instance, isn’t a social hub but a place where men and women mingle freely over alcohol. But it takes a particular sickness to translate that belief into action, to decide that a certain lifestyle, and the freedom to choose it, aren’t merely different or new but an insult, one that can be assuaged only by murder. I grieve for Nice, for France, for the world we live in. 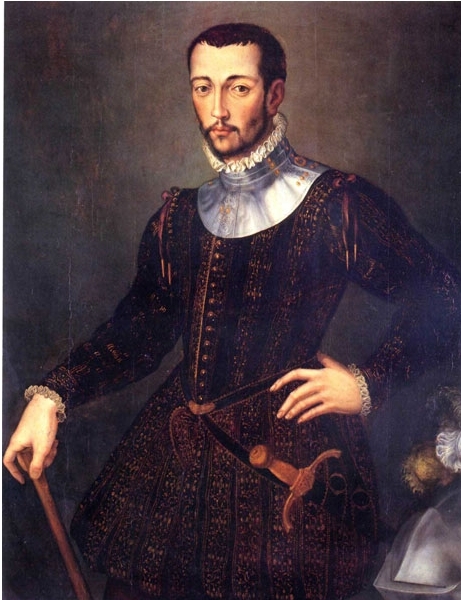 It’s April 1574, and Florence braces for the death of one de Medici grand duke, Cosimo, and the accession of another, Francesco. It’s common knowledge that the heir apparent has two interests, women and alchemy, and the skinny is that he’ll be a crafty, intemperate ruler–just like his forbears, in other words, except more so. It was fantastical, disconnected from hunger, hunger, hunger, worn-out clothes and winter cold, as mysterious as if it had been created by some kind of magic. There was an athanor made of brick and clay from Trebizond–wherever that was–and a green glass alembic in the shape of a crescent moon. There was a gold-and-crystal double pelican and a silver funnel engraved with an intricate circular labyrinth design, supposedly a thousand years old. But tragedy as well as poverty has dogged the family; her mother is dead, and horsemen ran over and killed Chiara’s brother, knocking her on the head too, a blow that still causes her headaches and fainting spells. She and her two surviving sisters live with their grandmother, a woman of republican sympathies who ill conceals her contempt for the ruling house. Nevertheless, Chiara has taken it upon herself to sell off her late father’s equipment, and who better to buy it than Francesco de Medici? However, even to approach the great man is a dangerous gambit, and she’s nearly trampled again in the attempt. But she’s also lucky that Ruanno, an English alchemist working for Francesco, recognizes the worth of the object she has brought to sell–except that when de Medici sees it, and her, he makes a proposition she can’t refuse. Chiara is to remain in his house as a servant and assist in his laboratory, where he’s trying to create the Philosopher’s Stone. He believes that to succeed, he needs someone to represent the feminine principle, and she’s nominated. If she passes several tests to prove she’s a virgin , she’ll work alongside Ruanno and the grand duke, and her family will receive food, money, and gifts. But if Chiara fails the tests or breaks her vow, she’ll die. Simple. This chain of events illustrates the key strength of The Red Lily Crown. You’ll notice that each twist in the story corresponds to a “yes, but,” the parallel structure to the “no–and furthermore” common to thrillers but also appearing in well-plotted novels of other genres. In the “no–and furthermore,” the protagonist thinks she’ll get what she’s looking for, only to fail and be presented with an even worse problem. Here, Loupas relies on a different sort of complication. Yes, Chiara sells her father’s equipment, but Francesco co-opts her. Yes, that has its advantages but could also prove fatal. Later in the novel, the author employs the “no–and furthermore” too; but to set the stage, she’s content to lead Chiara into a labyrinth. De Medici drives the tension, changing minute to minute, leaving everyone around him to wonder what he really wants, what he’s got on them, and what they can or can’t get away with. I find him a bit much, vicious and selfish beyond belief, and the information that his parents persecuted him doesn’t quite balance the portrayal. 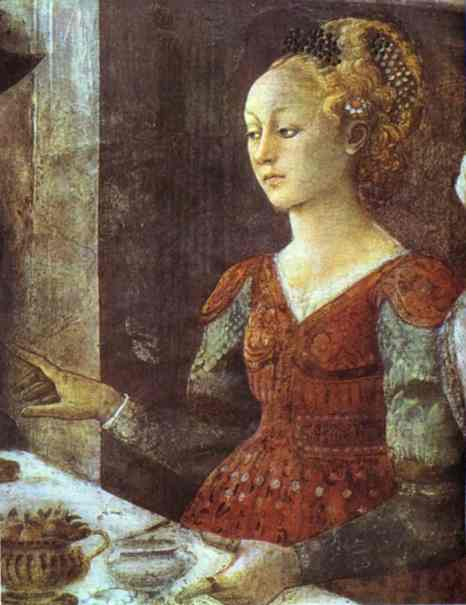 But Loupas re-creates the Medici court, its intrigues, affairs, murders, and rituals, with a sure hand. I believe that part. I have more trouble crediting certain plot turns, well done though they are, especially the de Medici arsenal of poisons. You know that Ruanno, who seems too good to be true, and Chiara will attract one another, so that’s no surprise, though Loupas keeps you guessing as to how it will unfold. I wish she hadn’t rushed important transitions in the romance, and it seems as if Chiara can read his thoughts whenever she wishes, a telepathy to be envied. But I like a good story, and The Red Lily Crown is one. Anansi, 2015. 342 pp. $16. Maybe I’ve led a sheltered life, but I didn’t know that such things as chess hustlers existed, nor that they prowled seventeenth-century London’s coffee shops and taverns, looking for fools and their money. But in this well-told, riveting novel, which begins in 1664, young Benny Wand has a difficult choice: Spend twelve years in Newgate for having fleeced the wrong gentleman or be deported to Jamaica. Though Benny has never been to sea and has no apparent skills other than his chess mastery, he instantly chooses the New World, for he rightly expects a dozen years behind bars will be a death sentence by slow torture. But on arrival in Port Royal, called “the wickedest city on earth,” he quickly realizes that his prospects are dim indeed. 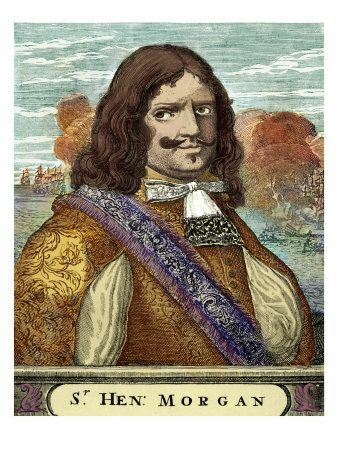 An acre of transported criminals like himself crowds a beach, living on rum and roast turtle, with no hope except the rumored reappearance of Henry Morgan, a privateer licensed by the British Crown. Morgan’s reputation for daring, and his ability to liberate Spanish gold from its former owners have the societal castoffs excited, and no wonder. Not only is it possible for men who wouldn’t know sky from ocean to become rich virtually overnight, but, as Benny learns when the fabled captain shows up, his leader has no use for the social barriers that have kept his new crewmen down all their lives. In return for obedience, Morgan offers something extraordinary–advancement based on merit. Benny soon profits thereby, for Morgan fancies himself a chess player and, hearing of Benny’s prowess, invites him to his quarters for a game. What a heady experience for a young man who’s never come closer to power than being on the wrong side of a judge’s bench. Benny revels in their contests and in Morgan’s free admission that his deck swab’s skill easily surpasses his own, the first praise he’s ever received. What’s more, he asks Benny his secret, only to be told there is none. Victory, he explains, depends on seeing what’s in front of you, what might be lurking just out of sight, and in planning for both. Naturally, Morgan recognizes the inherent military wisdom in Benny’s approach, and you won’t be surprised to hear that, little by little, the captain relies on him for advice in the field. However, though Morgan listens, what always eludes him is Benny’s gift at anticipating what the enemy will do next. The adventures make for tense reading, but there’s much more here. The relationship between the two men explores the nature of power (and how it corrupts); the fury unleashed in men whom society has humiliated; and how money influences both. Sheer glory this was. Every step through that steaming and fearsome jungle had been worth it, for with each pilfered necklace and pocketed earring I was getting even with all those who’d made my life miserable in England. I’m talking about unforgiving landlords and brutal schoolteachers and truncheon-swinging police and priests with fat roaming hands. Sod the world was running through my head while we emptied one house after another, and it was intoxicating as Kill Devil [a potent alcoholic drink]. The problem with intoxication, however, is that it can possess you, and Benny’s no exception. Having noticed Morgan’s growing corruption, he worries about his own, and whether he’s become his captain’s creature, caught up in another man’s game. Is Benny a pawn, or is he the man who can save Morgan from himself? Hough’s narrative moves swiftly but seldom compresses an emotional turning point. I like the vivid prose, which, in Benny’s salty, worldly voice, makes his character come alive. Morgan comes through too, though less clearly, perhaps the drawback of this particular first-person approach. None of the other characters seems fully fledged, but the key relationship is so complex and delivers so much that this matters less than it might otherwise. At times, I wondered whether Benny’s language or thought process sounded too modern, but that too shouldn’t stop anyone from reading this entertaining, thought-provoking novel.